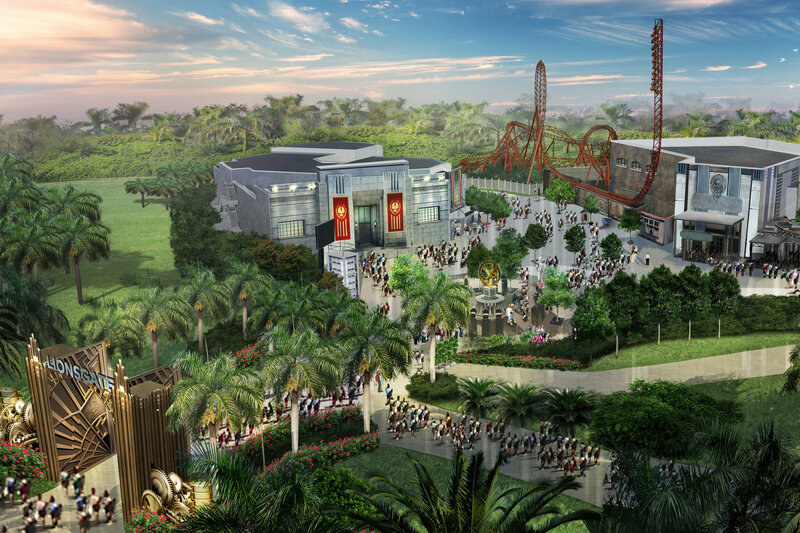 Following on from announcing a Hunger Games attraction at motiongate Dubai, scheduled to open next year, Lionsgate (via NY Times) have revealed details on the attraction, and plans for two more to be built in Atlanta, Georgia, U.S, and near Macau, China. After passing through the gates, visitors will arrive in a re-creation of the fictional District 12, a mining region where Katniss grew up. There will be costumed characters and real-life versions of Peeta Mellark’s bakery and the Hob black market. A lavish roller coaster will be designed to resemble the movies’ high-speed Capitol trains, Mr. Palen said. A simulator-style ride, similar to Disney’s well-known Star Tours attraction, will take people on a hovercraft tour of Panem, the post-apocalyptic nation where “The Hunger Games” takes place. Check out the concept art for the Hunger Games zone below, and head over to the NY Times to find out more.